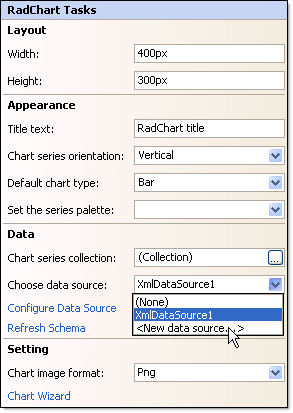 Click the RadChart Smart Tag "Choose Data Source" | "New Data Source". 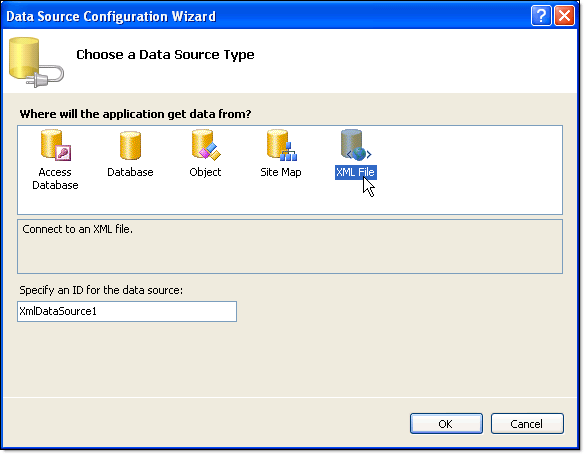 From the "Choose a data source type" page of the wizard select "XML File" and click "OK". 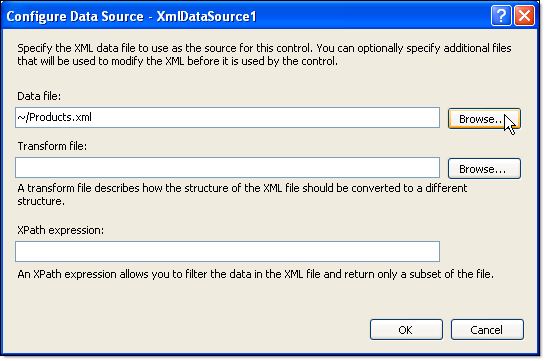 Using the Browse button locate and select the XML file. Click OK.